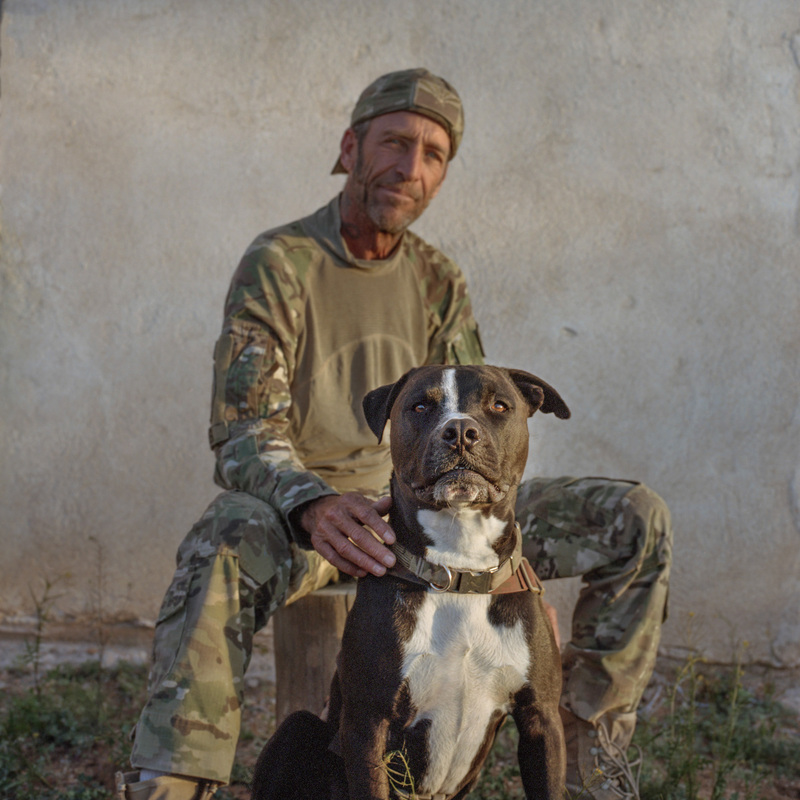 Tim Foley with his K-9 companion, "Sgt Rocko" a Pitt Bull rescue, is a self-assigned, self-trained "K-9" by his handler, Foley. Rocko joins Foley and other AZBR volunteers on Patrols in the desert, tracking and stopping illegal activity crossing over into the United States. Sasabe, Arizona. March 9th, 2017.